Without your health, everything is more difficult if not downright impossible. Ask anyone who has dealt with illness. It can rob you of almost everything. Many of us plan diligently for our financial future, but rarely have a concrete, outlined vision for the health of our physical body or what we need to do to achieve that. You can have all the money in the world, but without your health, it will do you no good. If you are diagnosed with Alzheimer’s, your money may help pay for your care, but it isn’t going to stop your brain from deterioration. However, I guarantee that if you have been planning for a solid financial future, educating yourself, applying focused attention for your financial well-being, you are going to have a much better chance of recovering if the worst were to happen. The same is true when it comes to your health. If you wait until you are sick to learn how to be well, you are already at a deficit. And, as one who has been down that road, staying healthy is a whole lot easier and less expensive than trying to get well once you are sick. So, the first step to better health is to create a vision of a healthy robust you, now and in the future. When we create a health vision, we can develop a health plan and make sure our vision and choices are in alignment with that plan. If you don’t have a health vision, you will never know if your choices are in alignment with that vision. This book will help you develop a plan of action based in reality. Cari helped me correct some long-term health issues I had from an improper diet. I now have more energy, more stamina and am more balanced emotionally. She is professional, kind and patient with her clients. I highly recommend her work. ~K.F. Extreme depression, tired all the time, I wasn’t sleeping on a schedule at night, I had gained weight and was craving all foods not considered healthy. In just a few weeks, my sleeping is much better, depression is only slight. I would say my attitude and spirit have changed. I am less moody and sad. ~K.K. I was suffering for three years I had many symptoms such as swelling, seizures, heart, stomach and thyroid problems. I have not had any seizures and my body is stronger and has been able to take on the responsibilities of everyday life. ~C.D. Over weight, depressed, on too many medications. Not eating healthy, chronic heartburn, allergies, anxiety, gas, bloated, irritable. I’ve lost 30 lbs., gotten off all allergy medication, anxiety was all food related. I only get it when I eat poorly. What a great program. My life has changed so much for the better. ~C.K. Your wealth of knowledge, passion, patience, commitment, integrity and vision make you one of the AMAZING FEW that I’m fortunate enough to have leading me in the direction of living a purposeful, vibrant, joyful, happy, healthy and abundant life…I will be forever grateful. I suffered with bladder infections from a young age and was given antibiotics after antibiotics with no results. I have also suffered with sinus/migraine headaches lasting three days. Now, I am so happy to say NO Bladder infections. No more antibiotics. As for my sinus/migraine headaches so far they are a thing of the past. 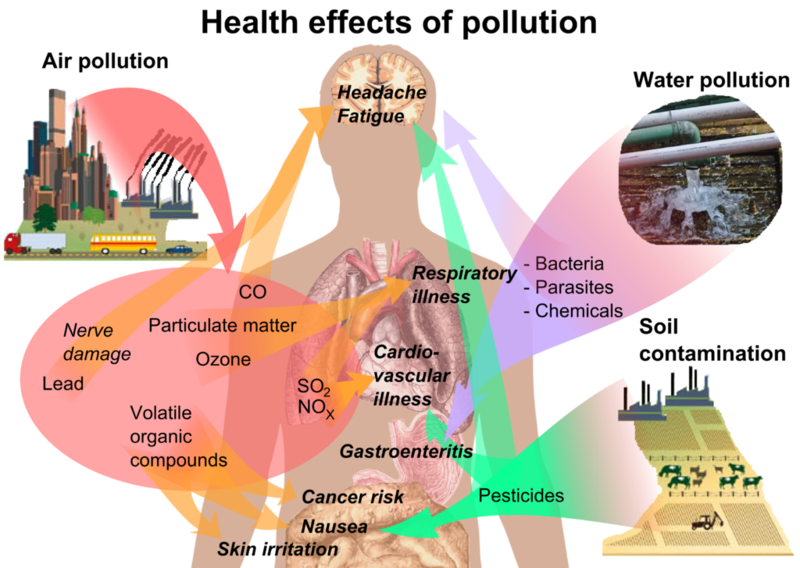 I have opened my eyes the toxins we encounter in our daily life had an effect on me. I have to say my health has changed greatly and I am a happier person. I am so grateful to you for showing me that gluten was bothering my body. Since I’ve gone gluten-free I have had more energy than ever before and I’ve finally been able to lose weight! ~P.F. Fatigue, dry skin, cracked tongue, boils, bald spots on head. Wellbutrin for chronic depression, vague but persistent anxiety. Confusion about where to start, confusion about what to eat, confusion about diet(s). Arthritis pain in knees feet and back… I felt like I was dying a little bit everyday and it made me panicky because regular doctors said it was ”all in my head.” Now, (I) feel great., much better energy. No Pain! I am unmedicated for the first time in 20 years. People keep telling me how great I look. I run two miles per day in the sand. I feel like I have been sleep walking through life. ~​A.J. 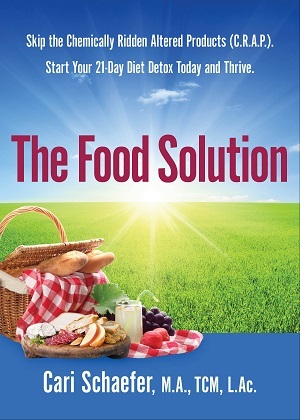 Start Your 21-Day Diet Detox Today and Thrive! 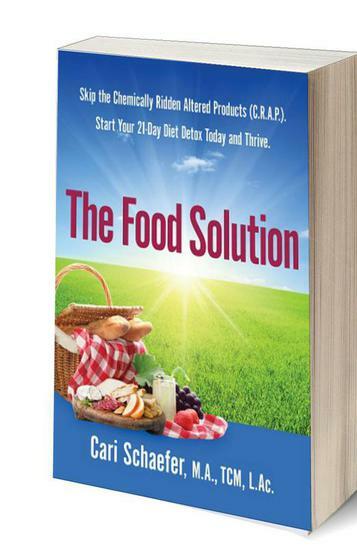 Read Cari Schafer's groundbreaking book, The Food Solution, implores readers to skip the C.R.A.P. Chemically Ridden Altered Products and follow her 21-Day Diet Detox to find lasting health with real nutrition. 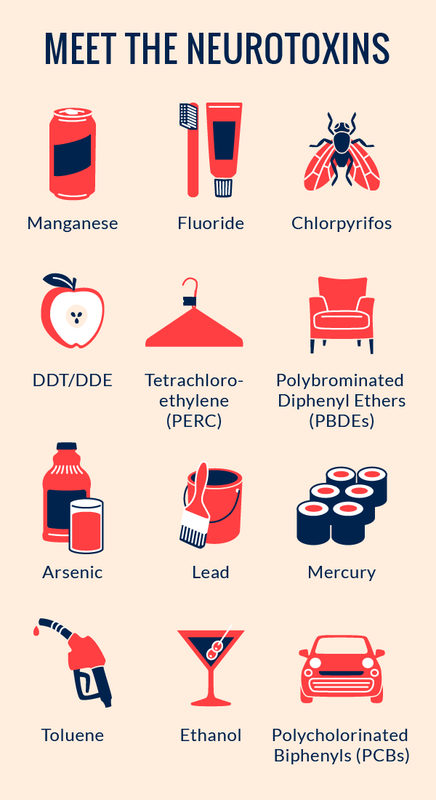 Over the years the American diet has moved further away from whole food sources and has become increasingly riddled with chemicals and other toxins. The processed foods that have become staples of our diet have lead to an array of physical and psychological illnesses, including heart disease, obesity, depression, anxiety, and insomnia. We have forgotten the reason we eat: to nourish our bodies and minds to grow and thrive. 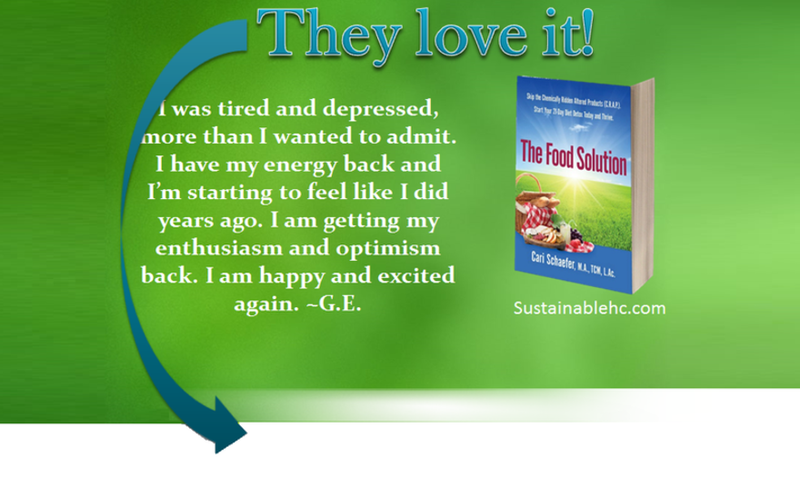 In Schaefer s holistic medical practice, she has helped many people halt or reverse illnesses by showing her clients how to return to eating food - not food products. By guiding readers on a 21-Day Diet Detox that can be tailored to fit every person s lifestyle, Schaefer teaches readers how to use nutrition as a healing tool. She arms readers with a wealth of knowledge about our modern, compromised food system, and educates readers on the many ways our food has been modified to become not only non-nutritious, but often harmful. Provides food nutrition facts, shopping lists, meal plans, and recipes. Cari Schaefer M.A. TCM, L.Ac. resides in Topanga Canyon, California, with her new husband and children. She has been a natural health practitioner for over sixteen years, helping hundreds of people improve their health and live a more vital life using diet as a core healing tool. Cari currently runs the Sustainable Health Center in Santa Monica, California. The expertise shared with you in this book comes not only from Cari s nutritional education - her multidisciplinary study includes a Masters Degree in Traditional Chinese Medicine; national certification in herbalism and acupuncture; certifications in Nutrition Response Testing and Neural Emotional Technique; and certification as a Yoga instructor, but also through her clients and her own real life experiences. At age 32, Cari faced her own health crisis. When walking three blocks became challenging due to extreme fatigue, constant pain, and depression, she learned firsthand the devastation that poor health causes in your life and the critical role food plays in your health. Cari shares what she has learned with others through one-on-one care, radio appearances, public speaking, workshops, and by teaching and mentoring other healthcare practitioners. If you are feeling overweight, tired, and older than your years, or just need a tune-up, read and implement the guidelines in this book today and you will jumpstart a lifelong journey of healthy living. that Chemicals (C.R.A.P.) are sneaking onto your dinner table."